Cosmetic Acupuncture (CA) is a natural approach to restoring healthy skin “from the inside out” by regulating and balancing the metabolism. The dual focus of CA is to restore internal balance and to stimulate the local tissues of the face to naturally lift and tone the skin and to relax facial muscles. The result is better toned facial muscles, glowing skin, reduced fine lines and wrinkles, a refined skin tone and color, and improved health and well-being. CA is gentle and has no side-effects or recovery time. The aging process is influenced by your inherited genetic traits as well as how you take care of your body throughout your life: your lifestyle. Smoking, alcohol consumption, sun damage, a poor diet, stress and poor sleep are some of the factors which accelerate the aging of the skin and other organs. CA is a healthy alternative to invasive techniques including injectables, fillers, dermabrasion, peels, and surgical procedures. The skin is the largest organ of the body. A cohesive envelope on the outside of the body, the skin acts as our first line of defense keeping pathogens from getting inside the body; it regulates the body’s temperature; it allow for toxins to leave the body; and it protects us from environmental factors such as the harmful UV rays of the sun. The facial skin is a reflection of the internal balance of the body. From the condition of the skin we can see if there is excessive fluid accumulation in the tissues (swelling and puffiness) resulting from an imbalance of Spleen function referred to as “dampness”. If the skin is pale and dry it may be due to a condition we refer to as deficient blood because blood and tissue fluids moisten the skin. If there is redness and inflammation, there may be internal heat due to an imbalance of Yin and Yang or other deficiencies allowing excess heat to rise upward and affect the skin of the face. The first step in using Cosmetic Acupuncture is to take a comprehensive health history including lifestyle factors in order to determine what imbalances may exist that could affect the skin. Treatment involves the use of special cosmetic needles that are very delicate at points on the face to reduce fine lines and wrinkles and to increase circulation and relax the facial muscles (the muscles of expression). 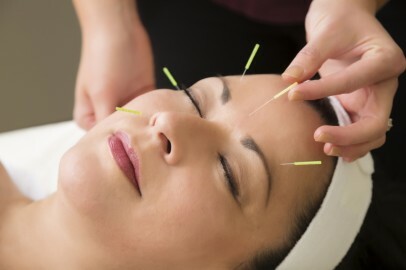 Acupuncture points located on the body are chosen to correct internal imbalances. 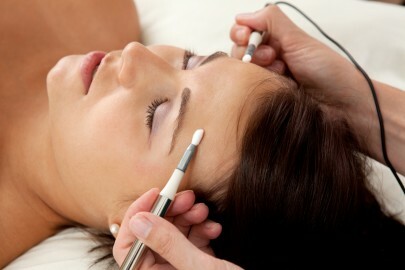 Microcurrent electrotherapy (MET) may be used in place of or in addition to facial needles. Every treatment is beneficial to the skin but a series of treatments gives the best results. Patients in their twenties, thirties and forties with healthy muscle tone, thick skin, and minimal health issues will generally see the best results. Patients in their forties and fifties, with relatively healthy muscle and skin tone, some loss of collagen and elastin, and minor health issues can expect to see good results. Those in their sixties and above with weaker muscle tone, thinner skin, more pronounced loss of collagen and elastin, and greater health issues will need more frequent treatment over an extended period of time. Results are most effective when performed in a series of ten weekly treatments. Susan Kane, L.Ac., M.Ac, has studied various techniques of Cosmetic Acupuncture with a number of teachers including Shellie Goldstein (hamptonsacupuncture.com); Dr. Kuen-Shii Tsay, L.Ac. ; Susan Mitchell, AP; and Virginia Doran, L.Ac., (luminousbeauty.com). 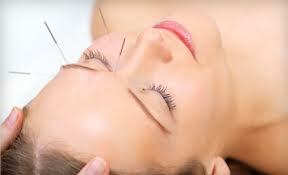 If you'd like to learn more about cosmetic acupuncture, please contact us.